Facilitated by technically advanced process, we are presenting a distinguished collection of Bentonite Lumps. With an impressive growth record in this highly competitive industry, we are providing a qualitative range of Bentonite Lumps. We are engaged in offering Bentonite Lump Powder to our clients. Highly reliable processed powder, that are widely used in various applications. Leveraging on our industrial experience, we have achieved greater expertise in this domain. These are sourced from quality conscious manufacturers and come with features like excellent bio-stability & heat resistance. 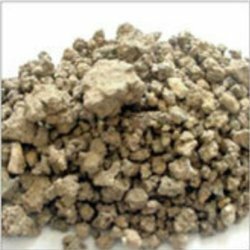 As a reputed organization, we are involved in offering unique range of superior quality Bentonite Lumps to our esteemed customers. Leveraging on our industrial experience, we have achieved greater expertise in this domain. The demand for this product is increasing day by day in the markets due to its longer life, high performance and durability. We are the Supplier of Bentonite Lumps which is extensively used in various industrial applications. - The use of our Bentonite Lumps is helpful in higher barrel yield with minimum loss of drilling fluids. - The Bentonite Lumps offered by us are used in Pencil industries, Ceramic industries etc. We are capable of meeting the bulk requirements of clients in specified time. - We are capable of meeting the bulk requirements of clients in specified time. 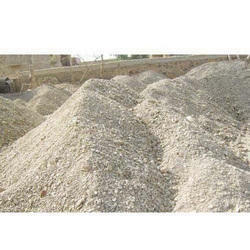 We are the Exporters and Suppliers of Bentonite Lumps which is extensively used in various industrial applications. The use of our Bentonite Lumps is helpful in higher barrel yield with minimum loss of drilling fluids. The Bentonite Lumps offered by us are used in Pencil industries, Ceramic industries etc. We are capable of meeting the bulk requirements of clients in specified time. Bentonite is a mineral typically called "The clay of a thousand uses." It is widely used in the oil field as a drilling fluid mud additive which enhances viscosity and filtration control. Bentonite has high bonding properties when mixed with sand. Bentonite swells when wet, has gel-forming properties, is a major component of water-based drilling muds, and is of low acute toxicity. Pure Sodium Base Bentonite Lumps. We can supply you in bulk approx. 30000 Tons BENTONITE in lumps form per month.